Sarah Palin: Fuel America By Being Lap Dogs To Chavez And Ahmadinejad Instead of Drilling Our Own, Baby? It should be interesting to watch the loons on the radical left as they go through all sorts of mental and verbal gymnastics trying to justify buying oil from terrorist nations, after this hard hitting bit of writing by Sarah Palin! Remember when Bush and the evil Darth Cheney were in office? Hollywood and the radical Marxist-communist-environmentalists were running television ads and producing You Tube videos telling us that SUVs were the greatest threat to mankind ever, because they used gasoline, and that gasoline, …. wait for it …. funded terrorism! Oddly enough, now that they have one of their fellow travelers in the White House, it’s all good! Fuel America with Terrorist-Tarred Oil Instead of Drilling Our Own, Baby? Obviously this is spot on. There is absolutely no good reason for a nation that has more oil reserves than Saudi Arabia, billions, of trillions, of cubic feet of natural gas reserves, and hundreds of years worth of coal reserves, to be getting oil from terrorist nations. There is also no reason why we shouldn’t be building nuclear powered electric generation plants nationwide either. France gets around 70 percent of it’s electricity from nuclear. FRANCE. 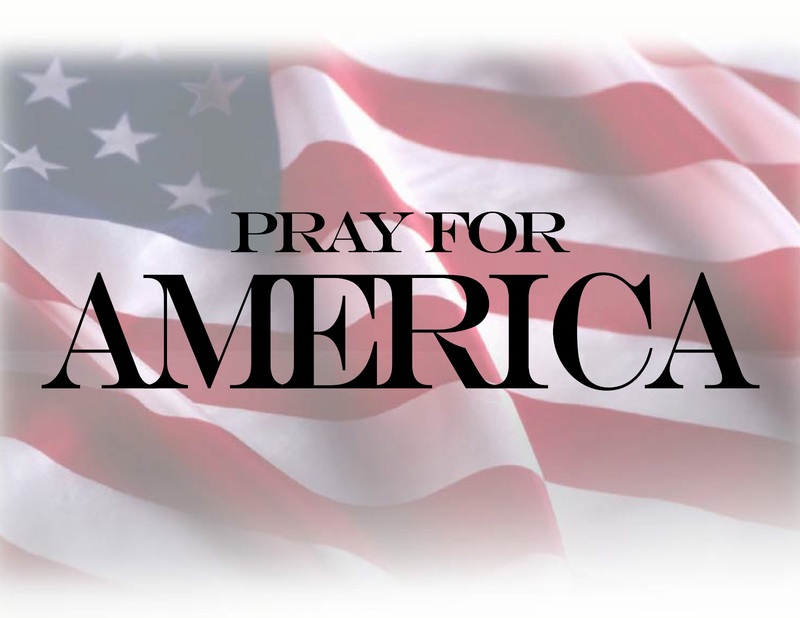 It’s time to stop this nonsense, and get on with the business of keeping America safe, strong, and prosperous. Here’s the Newsmax article Sarah references above. * Surface-to-air missiles and other weapons have reportedly been provided by Venezuela to FARC guerrillas in Colombia. An arms cache captured from FARC in 2008 included Swedish-made anti-tank rocket launchers that had been sold to Venezuela. * Venezuela provides cross-border sanctuaries for Colombian guerrillas. * A United Nations report last year disclosed that nearly one-third of all cocaine produced in the Andean region passes through Venezuela. The senators question how much terrorist groups such as al-Qaida profit from trafficking drugs that originate in or flow through Venezuela. * The U.S. has frozen the assets of two Venezuelans, including one working for Chavez, for providing direct support to the terrorist group Hezbollah. The senators ask the State Department for an assessment of the activities of Hezbollah inside Venezuela. * Chavez’s “extensive support” of the Castro regime in Cuba is calculated to amount to $1 billion a year, and Cuban advisors are involved in the intelligence and security apparatus of the Venezuelan government. * Chavez “has repeatedly expressed support” for Iran’s covert nuclear program and announced a plan for the construction of a “nuclear village” in Venezuela with Iranian assistance. Also, Chavez has pledged to provide Iran with 20,000 barrels of gasoline per day. The Arctic Fox And The Iron Lady …. 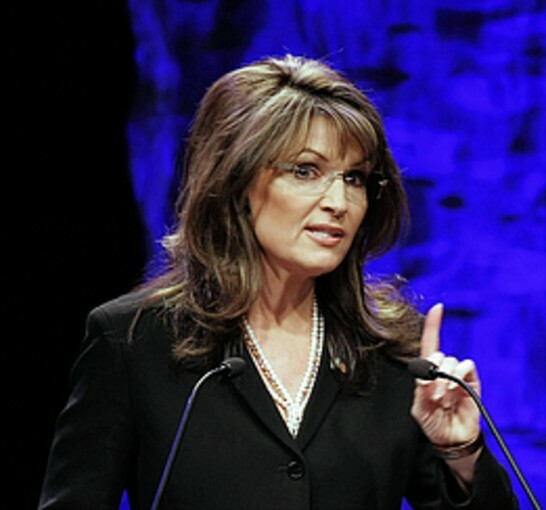 Sarah Palin To Visit Margaret Thatcher? But, as it happens, I know Margaret Thatcher. Margaret Thatcher is a friend of mine. And as a matter of fact, Margaret Thatcher and Sarah Palin have a great deal in common. According to a report by the notoriously left wing UK Mail Online, Sarah Palin will visit Margaret Thatcher in the near future. They report this like it is some sort of photo op, the kind of thing that only a shallow person, like say, Barack Obama, would try and pull off. In reality, if this meeting happens, it will be the event of a lifetime for all of those involved. Think about it, along with the great Ronald Reagan, Maggie Thatcher was part of the conservative leadership that won the Cold War. Like Reagan, Thatcher understood the meaning of “peace through strength.” as does Sarah Palin. Simply put, Reagan and Thatcher strengthened both of our countries’ militaries to the point that the Soviet Union just couldn’t keep up, and ultimately sought a peaceful end to the nearly 50 year stand-off between Freedom and communism, between Liberty and oppression. Sadly, no one can sit down with Ronald Reagan and learn from him, but the opportunity to sit and visit with Mrs. Thatcher, and discuss those amazing times is an opportunity of a lifetime that no one could pass up. I know Maggie Thatcher. The two women have a lot in common. Being listed in fourth place for Time magazine’s “Person of the Year,” as Sarah Palin was for 2008, sounds a little like being awarded the Order of Purity (Fourth Class). But it testifies to something important. Very few express this view in a calm or considered manner. Some employ profanity. 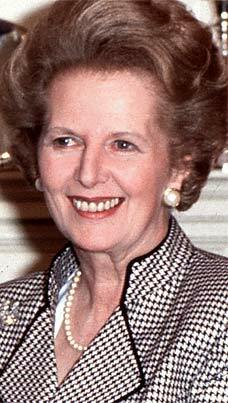 Most claim to be conservative admirers of Mrs. Thatcher. 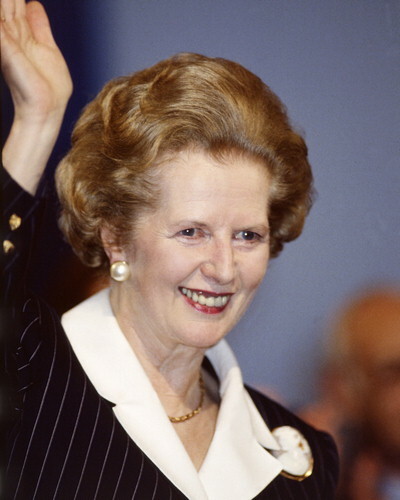 Others admit they had always disliked the former British prime minister until someone compared her to “Sarracuda” — at which point they suddenly realized Mrs. Thatcher must have been absolutely brilliant (at least by comparison). Jolly, rib-tickling stuff. But, as it happens, I know Margaret Thatcher. Margaret Thatcher is a friend of mine. And as a matter of fact, Margaret Thatcher and Sarah Palin have a great deal in common. You can read all of John O’Sullivan’s essay here. Interestingly, in September of ‘08, Janet Daley, writing in the decidedly more conservative UK Telegraph, compared the treatment Sarah was getting from the radical left in America, and some on the right, to the “spiteful treatment of Margaret Thatcher” which you can read here. It would seem Marxist-progressives world wide have a long history of hating women who don’t tow their liberal party line. Those snobs among the Republican elite and the “Good Old Boy Network” haven’t changed either. They still remain blissfully ignorant, and educated well beyond the level of their actual intelligence. It so happens that Stacy Drake has just published a brand new article on this very subject and takes these clueless GOP snobs to task. You can read Stacy’s Sarah Palin vs Snobbery here. Since resigning from her governorship last July, Sarah Palin hasn’t made a false move. This is surprising for someone who is more passionate than cautious and one reputed to be…well, you know, a dummy. Her book tour went exceedingly well. She has received thousands of invitations to speak, notwithstanding her $100,000 price tag. She continues to raise huge sums of money for her sponsors and draw sellout crowds. Her policy announcements have been spot-on, whether delivered in her speeches, interviews, or Facebook posts. Because of her charge of “death panels” to decry Obamacare, she more than anyone is responsible for the overwhelming majority now opposed to the law. Although Obama’s supporters denied such “death panels” at first, many experts now openly admit to them. In foreign affairs, she coined the Obama Doctrine as “coddling your enemies and alienating your friends.” This characterization is now commonplace. Palin also decried Obama’s statement that the U.S. would not retaliate with nuclear weapons if it were attacked by WMDs and suggested that the U.S. was asking to be hit. Obama, in his non-response, replied with “I really have no response to that. The last I checked, Sarah Palin is not much of an expert on nuclear issues.” And “What I would say to them is, is that if the secretary of defense and the chairman of the joint chiefs of staff are comfortable with it, I’m probably going to take my advice from them and not from Sarah Palin.” Palin came back, quick as a flash, sarcastically honoring “the vast nuclear experience that he acquired as a community organizer, part-time senator, and full-time candidate.” Within hours, Obama was retracting his original statement. Finally, Palin has come down squarely on the side of Israel, Israel’s right to expand, and a united Jerusalem. She fully supports Israel’s right to self-defense and said that we shouldn’t be second-guessing her. Such policies are the polar opposite of what Obama is pushing for, and the former enjoy the support of a large majority of Americans. During the next six months, Palin will continue making speeches and supporting candidates of her choice. She will be coming out with a book on policy in the fall and will do another book signing tour. Then she will be off to Europe to visit with political leaders and stir up the people. I predict that huge crowds will embrace her and her message. No doubt, she will also visit Israel with her entire family, where they will be mobbed. It will be a media feeding frenzy. A strong embrace in Europe and Israel will give her an enormous boost in America. We think this is an excellent plan. One simply cannot pass on the chance to visit with such an iconic figure as Maggie Thatcher, someone who absolutely changed the world for the better. As for Israel, Sarah has shown such strong support for our friends there, and most certainly is on the side of the Israelis as they struggle for survival against pretty much the rest of the world. Her visit would signal, that even though the Obama regime is siding with the terrorists of the world against Israel, the American people support Israel, and the Israeli people. Nothing has been officially announced, and we have absolutely no idea when these trips to Great Britain, and possibly Israel may happen, but one thing about it, if there is an exchange of gifts, I doubt Sarah will be handing out iPods loaded with her speeches, or DVDs that aren’t formatted for their machines, …. like someone else we all know. Governor Palin today discussed the flurry of news stories indicating her possible trip to the United Kingdom and a meeting with Margaret Thatcher, in a brief Facebook Note. Governor Palin did indeed receive an invitation to visit England, which included an offer to arrange a meeting between Margaret Thatcher and herself. Following an article in a British publication on Sunday, I’ve received questions about a possible trip to the United Kingdom. I have received an invitation for a visit to London, and part of that invitation included the offer of arranging a meeting between myself and one of my political heroines, the “Iron Lady,” Margaret Thatcher. I would love to meet her and hope I’ll be able to arrange the trip in the future. As I wrote last year when I offered her birthday wishes, Baroness Thatcher’s life and career serve as a blueprint for overcoming the odds and challenging the “status quo.” She started life as a grocer’s daughter from Grantham and rose to become Prime Minister – all by her own merit and hard work. I cherish her example and will always count her as one of my role models. Her friendship with my other political hero, Ronald Reagan, exemplified the Special Relationship between the United States and the United Kingdom. 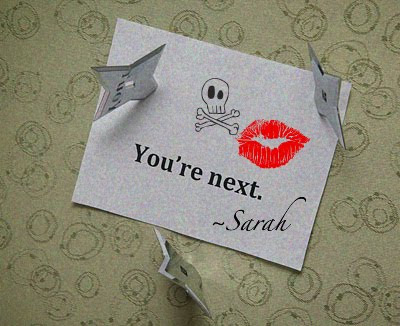 Please visit Sarah’s Facebook page for the complete note. Sarah is full of surprises and will keep the liberal media on their toes.